Reagan became the first president to propose a constitutional amendment on school prayer. The school prayer had previously been﻿ banned by the supreme court in 1962,﻿ and Reagan's election reflected an opposition to the courts decision. Reagan's 1981 proposed amendment stated: "Nothing in this Constitution shall be construed to prohibit individual or group prayer in public schools or other public institutions. No person shall be required by the United States or by any state to participate in prayer." In a message to Congress, Reagan said that his proposed amendment would "restore the simple freedom of our citizens to offer prayer in public schools and institutions." In a nationally televised speech the following day, Rabbi Menachem M. Schneerson lauded Reagan’s speech and said the moment of silence would "ensure that children grow up to be decent and upright." In 1984, Reagan again raised the issue, asking Congress "why can't [the] freedom to acknowledge God be enjoyed again by children in every schoolroom across this land?" In 1985, Reagan expressed his disappointment that the Supreme Court ruling still bans a moment of silence for public-school, and said he had "an uphill battle." In 1987 Reagan again renewed his call for Congress to support voluntary prayer in schools and end "the expulsion of God from America's classrooms." During his term in office, Reagan campaigned vigorously to restore prayer to the schools, first as a moment of prayer and later as a Moment of Silence.From Wikipedia's Religion of the Presidents. online 11-21-14. "He also felt that America and Americans needed the Bible. The Bible, argued Reagan, held all the answers. "I'm accused of being simplistic at times," he said more than once. "But within that single Book are all the answers to all the problems that face us." As Ben Elliott remembers, it was a line that many found over-the-top, some White House staff among them. Nonetheless, Reagan believed it devoutly. When the president shared the thought before the National Religious Broadcasters convention, Elliott recalled, it "brought the house down." The audience responded with a standing ovation, and Reagan was delighted." "Reagan instructed his audience that day to pray that America be guided by learning, faith, and freedom. He cited the author of Democracy in America: 'Tocqueville said it in 1835, and it's as true today as it was then: 'Despotism may govern without faith, but liberty cannot. Religion is more needed in democratic societies than in any other.' With a sly nod to his academic audience, he warned, "Learning is a good thing, but unless it's tempered by faith and a love of freedom, it can be very dangerous indeed. The names of many intellectuals are recorded on the rolls of infamy, from Robespierre to Lenin to Ho Chi Minh to Pol Pot." "James Benson Irwin (March 17, 1930–August 8, 1991), an American astronaut and scientist, was lunar module pilot for Apollo 15 on the fourth human lunar landing and was the eighth person to walk on the moon. 'I am now more than an earthling, because I have walked on the moon. Being on the moon had a profound spiritual impact upon my life. Before I entered space with the Apollo 15 mission in July of 1971, I was…[a] silent Christian, but I feel the Lord sent me to the moon so I could return to the earth and share his Son, Jesus Christ.'" From Institutes for Creation Research by Jerry Bergman. See link below for more information. The article goes on to say that finding the "Genesis" rock, a pure white one, and not like the basaltic rock, supported the view that the earth and the moon where made at the same time as mentioned in Genesis. Below that link is one to the High Flight Foundation that continues his Christian Ministry. It is run by his daughter. Charles Moss "Charlie" Duke, Jr. (born October 3, 1935), (﻿Brig Gen, USAF, ﻿Ret. ), is an American engineer, retired U.S. Air Force officer, test pilot, and a former astronaut for NASA. As Lunar Module Pilot for Apollo 16 in 1972, he became the tenth and youngest person to walk on the Moon. A former test pilot, Duke has logged 4,147 hours flying time, which includes 3,632 hours in jet aircraft; and 265 hours in space, plus 20 hours and 15 minutes of extra-vehicular activity. He is currently chairman of the board of directors of the Astronaut Scholarship Foundation. From Wikipedia 11-21-14. He has been an outspoken Christian advocate and even produced an evangelistic tract. 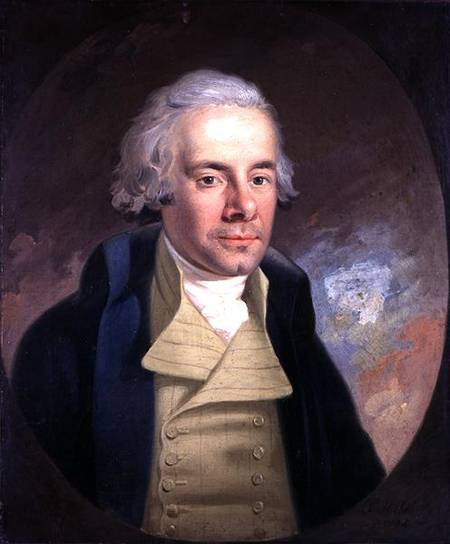 ﻿“William Wilberforce (24 August 1759 – 29 July 1833) was an English politician, philanthropist, and a leader of the movement to abolish the slave trade. A native of ﻿Kingston upon Hull﻿, ﻿Yorkshire﻿, he began his political career in 1780, eventually becoming the independent Member of Parliament for Yorkshire (1784–1812). In 1785, he underwent a ﻿conversion﻿ experience and became an evangelical Christian, which resulted in major changes to his lifestyle and a lifelong concern for reform. In 1787, he came into contact with Thomas Clarkson and a group of anti-slave-trade activists, including Granville Sharp, Hannah More and Charles Middleton. They persuaded Wilberforce to take on the cause of abolition, and he soon became one of the leading English abolitionists. He headed the parliamentary campaign against the British slave trade for twenty-six years until the passage of the Slave Trade Act of 1807. Wilberforce was convinced of the importance of religion, morality and education. He championed causes and campaigns such as the Society for the Suppression of Vice, British missionary work in India, the creation of a free colony in Sierra Leone, the foundation of the Church Mission Society, and the Society for the Prevention of Cruelty to Animals. His underlying conservatism led him to support politically and socially repressive legislation, and resulted in criticism that he was ignoring injustices at home while campaigning for the enslaved abroad. Amazing Grace, the movie, portrays some of the struggles William Wilberforce had in trying to bring an end to slavery in England; and which was accomplished in 1833. A link to the trailer is below. “Daniel Webster (January 18, 1782 – October 24, 1852) was an American politician who twice served in the United States House of Representatives, representing New Hampshire (1813–1817) and Massachusetts (1823–1827), served as a U.S. Senator from Massachusetts (1827–1841 and 1845–1850) and was twice the United States Secretary of State, under Presidents William Henry Harrison and John Tyler (1841–1843) and Millard Fillmore (1850–1852)… Webster was one of the most highly regarded courtroom lawyers of the era and shaped several key U.S. Supreme Court cases that established important constitutional precedents that bolstered the authority of the federal government… Webster was a spokesman for modernization, banking, and industry,..As a diplomat he is best known for negotiating the Webster–Ashburton Treaty of 1842 with Great Britain, which established the border between the United States and Canada east of the Rocky Mountains... with Clay, his fellow Whig, Webster wanted to see the Union preserved and civil war averted. They both worked for compromises to stave off the sectionalism that threatened war between the North and the South. Webster's support for the Compromise of 1850, devised in part by Clay, proved crucial to its passage…” From Wikipedia online 9-28-17 Picture of Daniel Webster public domain 7-28-17. Ancestor’s Government, How Established.-Our ancestors established their system of government, on morality and religious sentiment. Moral habits, they believed, cannot safely be trusted on any other foundation than religious principle, nor any government be secure which is not supported by moral habits. Living under the heavenly light of revelation, they hoped to find all the social dispositions, all the duties which men owe to each other and to society, enforced and performed. Whatever makes men good Christians, makes them good citizens. Our fathers came here to enjoy their religion free and unmolested; and, at the end of two centuries, there is nothing upon which we can pronounce more confidently, nothing of which we can express a more deep and earnest conviction, than of the inestimable importance of that religion to man, in regard to this life and that which is to come…We are in the line of conveyance, through which whatever has been obtained by the spirit and efforts of our ancestors is to be communicated to our children. Blessings Transmitted, Estimation of- We would leave for the consideration of those who shall occupy our places, some proof that we hold the blessings transmitted from our fathers in just estimation; some proof of our attachment to the cause of good government, and of civil and religious liberty; some proof of a sincere and ardent desire to promote everything which may enlarge the understandings and improve the hearts of men…Advance, then, ye future generations! We would hail you, as you rise to fill the places which we now fill, and to taste the blessings of existence where we are passing, and soon shall have passed…We bid you welcome to the healthful skies and verdant fields of New England…We welcome you to the immeasurable blessings of rational existence, the immortal hope of Christianity, and the light of everlasting truth!"